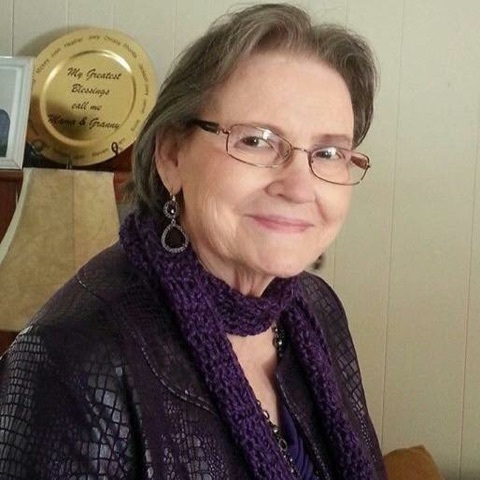 Alice L. Floyd Crowley, 78, of Smiths Station, AL passed away peacefully on Wednesday, August 29, 2018 at the Savannah Grand Assisted Living at Franciscan Woods in Columbus, GA.
A celebration of life funeral service will be held at 12:30 pm EST on Tuesday, September 4, 2018 at Vance Memorial Chapel (Vance Brooks Funeral Home) in Phenix City. Interment will follow at Ft. Mitchell National Cemetery. The family will receive friends Monday evening from 6:00 to 8:00 pm EST at Vance Memorial Chapel in Phenix City. Mrs. Crowley was born August 23, 1940 in Phenix City, AL to the late William Hasten Floyd and Ruby Merle Miller Floyd Crowley. She was employed with J. T. M. Corporation with many years of dedicated service. She enjoyed reading, watching classic movies, traveling, social media, cooking, and spending quality time with all her family. She was a member of Emmanuel Baptist Church in Phenix City. Other than her parents, she was preceded in death by her husband of 51 years, George DeWitt Crowley, Jr., and a sister, Mary Katherine Stringfellow. She is survived by two daughters, Rhonda Rachel and husband Rick, and Sandy Gowan and husband R. E., two sons, Joey Crowley and wife Vickie, and Scott Crowley and wife Becky, one brother, Bill Floyd and wife Terri, (10) grandchildren, Josh Thornhill and fiancé, Vanessa Newman, Heather Follett and husband Tony, Christie Thompson and husband Joshua, Nikki Crowley, Steven Gowan and partner Ashley Colbert, Michael McGuire, Jamie McGuire, Karlee Crowley, Whit Rachel, and Keenan Rachel, (10) great grandchildren, and a host of extended family members, and many caring friends, and beloved pet cat, Baby.